In order to achieve the objectives of the CCI Programme, it is necessary to use the most important archives of EO data that can contribute to the sea ice ECVs. The longest archive of EO data for quantification of global ice concentration, extent and area is the multi-frequency passive microwave data provided by NASA EO missions since 1979. ESA missions such as ERS and ENVISAT provide valuable additional data sets from 1991, especially radar altimeter and SAR that can provide important information about the sea ice ECV. 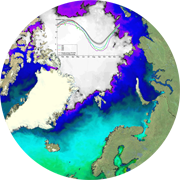 Other EO missions, both ESA and non-ESA, can contribute to the research and validation activities to support the development of the sea ice ECV. 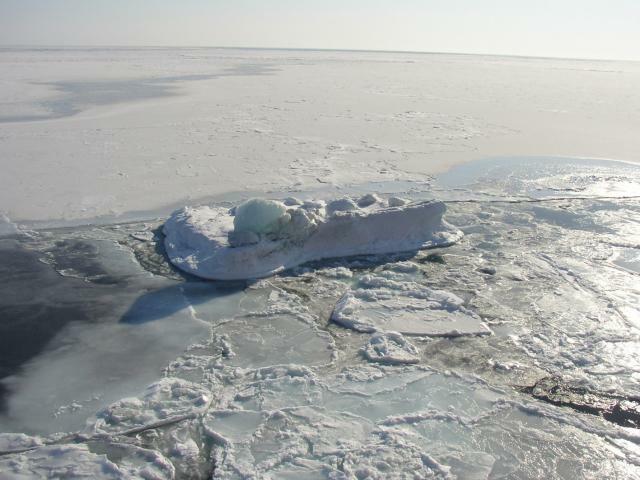 The ESA CCI Sea Ice project has combined and extended ongoing research to develop improved and validated timeseries of ice concentration and ice thickness for use in climate research. Since sea ice is a sensitive climate indicator with large seasonal and regional variability, the climate research community requires long-term and regular observations of the key ice parameters in both Arctic and Antarctic. The project includes representatives from the scientific user community and climate research programmes to validate the ice concentration and ice thickness retrievals provided by the EO science team. The ESA CCI Sea Ice project has delivered global data sets on ice concentration and thickness for Arctic and Antarctic, to support climate research and monitoring according to the GCOS requirements for generation of satellite-based data sets and products. This implies provision of data sets with associated metadata, software systems, technical documentation and scientific reports/publications. The data sets from the project are based on many years of research where the members of the consortium are playing a leading role in development and validation of the EO-based data sets.